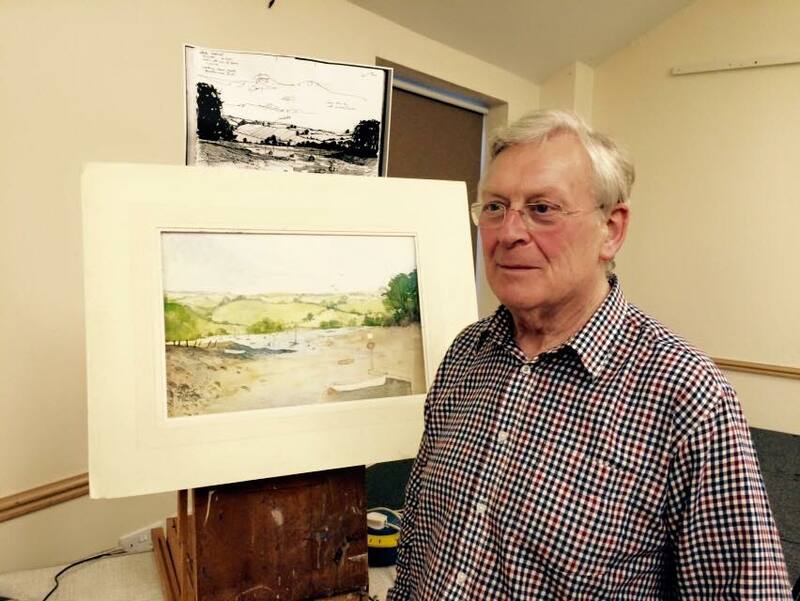 Guest artists are invited to Kidderminster Art Society’s ‘Demo Nights’ which are held monthly on Thursdays. In 2015 we have had many artists coming to show us their work, techniques and tips. 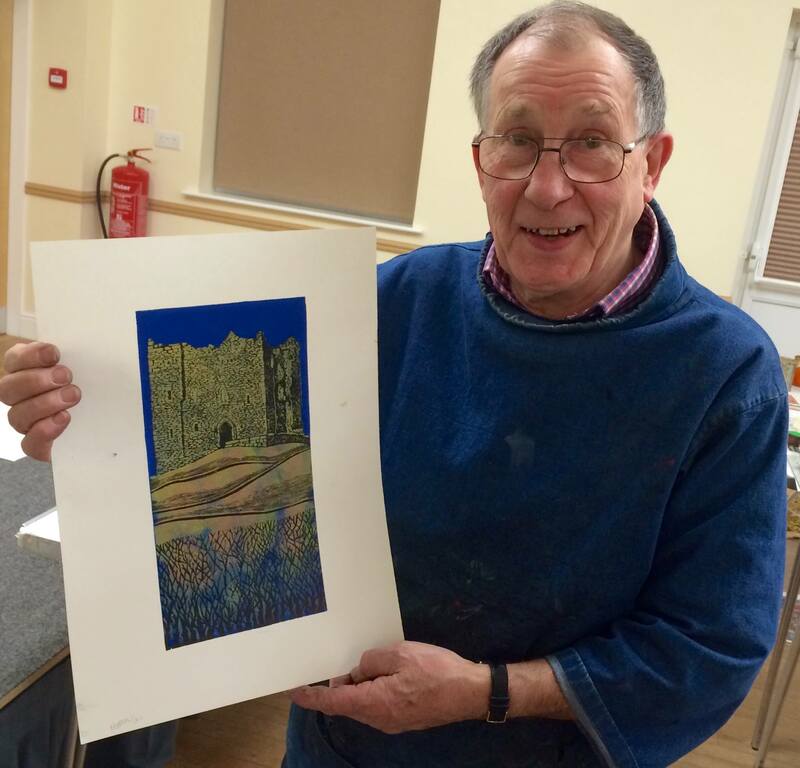 8th January 2015 our very own David Spurrier RBSA,gave us a demonstration on mixed media. 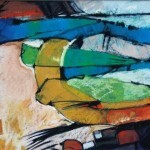 He explained his methodology in the creation of his art. Lots of inspiration! 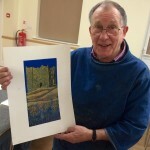 On 5th February Paul Hipkiss demonstrated his printmaking techniques. A very informative and enjoyable evening. On 6th March we welcomed Chris Hughes when he painted a charming Greek Island doorway with detailed brushwork. The work in progress was video’d and shown in on a large screen so we could see the techniques used. 16th April – The demo by Peter Horrocks on 16th April was a great night with lots of information on using earth pigments, which peter demonstrated with great skill. Everyone took away with lots of ideas. More photos on our Facebook page. 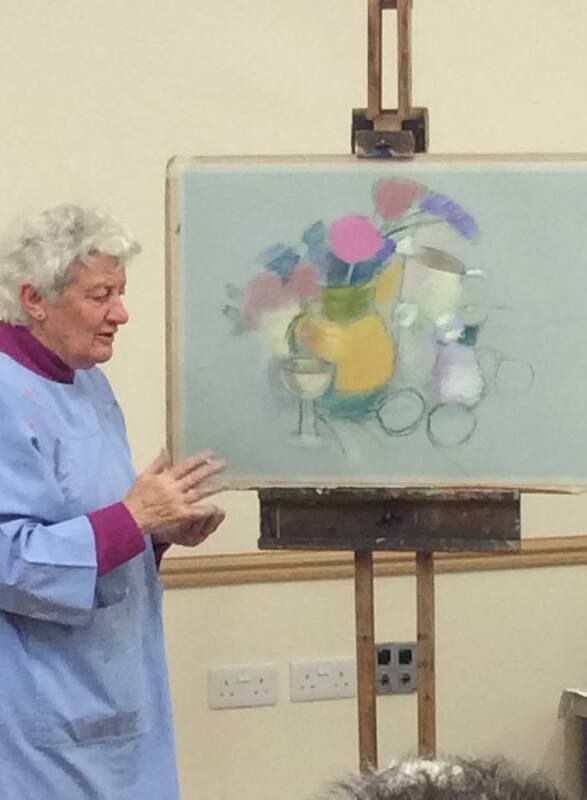 7th May – Demonstration by Claire Spencer, RBSA. 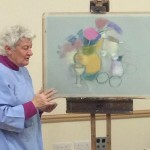 A very interesting demonstration by our own member Claire. 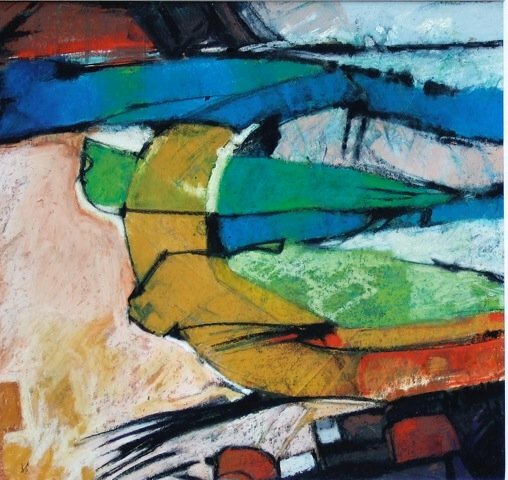 Lots of tips on tackling pastels. 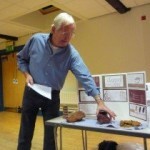 4th June – demo by George Loades. 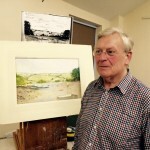 A member of the Birmingham Water Colour Society, Ludlow Art Club and The RBSA and he paints lovely landscapes and seascapes George will be exhibiting with BWS this July/August at Hanbury Hall.